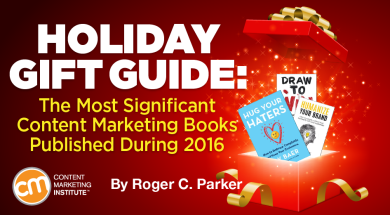 There’s something for every content marketer and entrepreneur on your list in this year’s holiday gift book suggestions for content marketers. It’s our largest gift guide and contains 24 recently published books and eight old favorites and books that I overlooked. Content marketing books, including overviews and training guides for newcomers, fresh perspectives for experienced content marketers, and advanced SEO techniques for experienced chief content officers and bloggers interested in attracting more traffic, building their lists, and increasing conversions. Writing books for those looking for advice to humanize their brand, write better blog posts, or address the inner blocks that interfere with their productivity. Print and website design books to take design skills to the next level, even for art directors, creative directors, or chief content officers. Presentation books for those who aspire to present at a TED or TEDx event or simply be more effective sharing ideas face to face. Business transformation books for CEOs, entrepreneurs, and thought leaders who want to inspire others and spark personal or organizational change. During 2016, an explosion of books in adjacent fields — like design, leadership, psychology, and trend analysis — address issues of direct relevance to content marketing success. There are also visual-thinking books that boost creativity by helping erase the barriers between ideas, images, and words. Whether you’re looking for a career-enhancing gift book for the content marketer in your life, or you’re a CEO or chief content officer looking for a way to acknowledge the contributions of your staff while improving their skills, there are more and better choices than ever before. The Content Marketing Institute included these categories in last July’s The Essential #BestBooks Reading List for Content Marketers. This all-time compilation included over 50 recommended book titles. All remain relevant, most are still leaders in their category. Read the following suggestions with an open mind. Remember that the categories are intended for your convenience. They’re not mutually exclusive. Many books could appear in more than one category. I’ve also added an “old favorites” category for books overlooked in previous roundups and books of exceptional relevance. The titles in this category provide a broad overview of content marketing and the building blocks of content marketing success. They differ in perspective and the amount of detail they share. But, all are safe bets, appropriate for a broad range of content marketers. They are also perfect for entrepreneurs and managers who want to either get started in content marketing or take their content marketing to the next level. Have you ever seen web marketing described using just 48 words? That’s just one example of Content Chemistry’s clear writing. The concise writing is enhanced by large, 8 ½ x 11 pages and an easy-to-read layout that provides enough space on each page for note-taking. The title refers to the way Andy uses the periodic table of the elements, which you may remember from your chemistry classes. The elements of the periodic table can be endlessly combined and rearranged, creating new elements. He popularized the concept of content atomization to emphasize that content projects, like blog posts, can be broken into tweets, or combined and expanded into books, e-books, and white papers. Andy uses the chemistry example as the framework for his book. In chemistry class, professors introduce topics in a lecture format, followed by hands-on lab work. Andy devotes his “lecture” to the fundamentals of attracting visitors and getting them to take action. The three chapters in Part l provide a fresh perspective of the goals and tools of online marketing, updated to describe the latest trends, such as mobile computing. The hands-on laboratory part of Content Chemistry consists of four “sessions”: content, promotion, inspiration, and a conclusion that emphasizes the importance of persistence. This is the fourth update of Content Chemistry, a testament to the power of ongoing research and incremental improvement over time. Each edition gets better and better, reflecting lessons of the previous year’s research. As a result of its combination of deep research and easy reading, Content Chemistry is a safe choice for any content marketer regardless of experience level or career goals. I’ve been a fan of the Dummies brand a long time and even contributed several titles. They offer an interesting paradox: The branding is for beginners, yet the books often communicate an extraordinary amount of quality information. The authors are often well-known subject-matter experts. 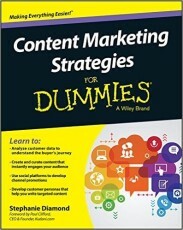 One of the best in the Dummies series is Stephanie Diamond’s Content Marketing Strategies for Dummies. Stephanie is a multititle author who was in charge of marketing during AOL’s period of greatest growth. She knows marketing, she knows marketers, and she’s an accomplished researcher. All of these qualities are represented in her latest contribution to the series. 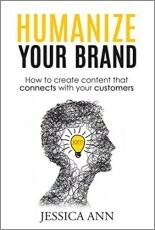 Even if your intended recipients already have a library of content marketing books, they will appreciate Content Marketing Strategies for Dummies. It’s an excellent addition to any library. Stephanie offers a fresh, task-oriented approach to content marketing strategy perspective accompanied by examples and links to hundreds of blog posts and websites. A special bonus: Readers can access numerous printable downloads, including mind maps of every chapter, forms, and checklists. 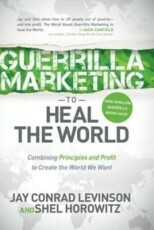 Guerrilla Marketing to Heal the World is the perfect book for your friends and family members who are business owners or marketers interested in altruistic goals. It combines the skills of two noted multititle authors and marketers. Jay Conrad Levinson was a great influence on millions of marketers around the world. He wrote or co-authored more than 100 guerrilla marketing books that emphasize low-cost, creative marketing tactics as a better path to success than outspending the competition. Shel Horowitz is a prolific author, coach, and – in his words – “Transformpreneur” helping businesses transform themselves. His mission is to show businesses that “going green” is compatible with profitability. Guerrilla Marketing to Heal the World provides dozens of examples of firms that have discovered how to combine principles and profit. Guerrilla Marketing to Heal the World is a thoughtful book for those who strive for a balance between their self-interests and the best interests of generations to follow. 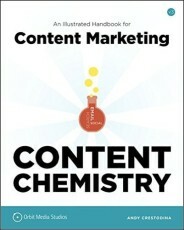 Pamela Wilson’s Master Content Marketing is the perfect content marketing/writing crossover book. There’s no book quite like it. 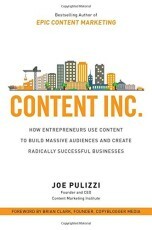 In style and message, it complements existing content marketing and writing books. It’s perfect for content marketers who are passionate about cultivating their writing skills. 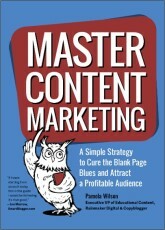 Pamela’s Master Content Marketing: A Simple Strategy to Cure the Blank Page Blues and Attract a Profitable Audience is the newest addition of my top-shelf writing and content marketing books. It joins content marketing favorites like Ann Handley’s Everybody Writes: Your Go-To Guide to Creating Ridiculously Good Content, Anne Janzer’s The Writer’s Process: Getting Your Brain in Gear (see below), and Stephen King’s On Writing: 10th Anniversary Edition, a Memoir of the Craft. Master Content Marketing is part story, part workbook, and part resource guide. The story part is Pamela’s transition from a graphic designer and marketing consultant in 2010 to her current position managing Rainmaker Digital’s respected Copyblogger editorial team. Section 1, Setting Yourself Up for Content Marketing Success, emphasizes efficiency, setting up a comfortable writing environment, and choosing a limited number of blog post categories. Section 2, The “Lazy” (Efficient) Approach to Content Creation introduces her seven-part formula for content creation. Section 3, Taking Your Content to the Next Level, focuses on building the habits of consistent action. Section 4, Appendices, adds over 30 pages of resources. Search Amazon.com for “writing books,” and you’ll find 526,389 titles. However, a high percentage is focused on fiction, personal expression, and narrow topics like book proposals, historical novels, or self-publishing. The following, however, focus on writing for content marketing success. In Humanize Your Brand, Jessica Ann, a Content Marketing Institute contributor, shows how to use mindful awareness to create content that will resonate with your market. It’s a slim, easy-to-read book filled with insights and practical tips. Jessica Ann was one of the first to introduce the concepts of fast media and slow media. Chapter 16 describes fast media and the bad habits it encourages. The next chapter shares tips for a better approach, based on slow media and a long-term perspective. 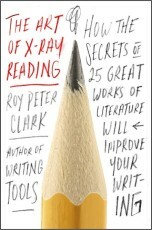 I was pleasantly surprised by Roy Peter Clark’s The Art of X-Ray Reading. I originally didn’t expect it to have much relevance to writing for content marketers. I was wrong! This is an amazing book, a study in reader engagement, and an inspiring collection of techniques that can add an extra level of engagement to your nonfiction writing. I picked it up one evening, and finished it the next day. Each chapter begins with a timeless sentence, paragraph, or technique and analyzes the author’s deliberate choice of words. The Art of X-Ray Reading will be even more important in 2017, as growing competition continues to raise the standards of content excellence. Where style once played second fiddle to search engine optimization, now increased recognition of the power of story means content marketers must create content with memorable paragraphs, words, and phrases, that “sound” great when read. Every content marketer can benefit from the lessons that literature teaches. During 2016, it has become increasingly obvious that it’s not enough to create great content, you also have to become skilled at promoting your content. Great content by itself can accomplish great things. However, when coupled with appropriate promotion, even the greatest content can accomplish a lot more. Successful content promotion requires cultivating the skills of direct-marketing copywriters. Direct-marketing techniques can spell the difference in whether your headlines are ignored or read, and whether readers continue reading your message from title to the final call for action. Direct-marketing skills also increase the likelihood that your emails will be opened and acted upon. The 12 chapters are subdivided into sections that illustrate different approaches. There are numerous tried-and-proven examples that you can use as thought-starters. 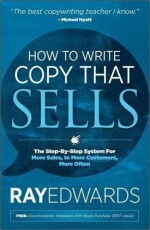 How to Write Copy that Sells is an especially appropriate book for entrepreneurs and self-employed professionals who write their own copy. Do you know content marketers or authors who suffer from writer’s block? Anne Janzer’s The Writer’s Process is a book written especially for them … and for every other writer who delays starting new projects. It shows how to write with your brain instead of against your brain. Anne is an accomplished Silicon Valley technical copywriter fascinated by the latest neuroscientific research. She obviously invested a lot of time researching the field, but the Writer’s Process doesn’t read that way. It reads the way Anne talks – more like a Starbucks conversation with a friend than a compendium of research into how the brain processes information and creates new connections. Anne’s book is also an example of storytelling at its best. It shares her experiences and the lessons she learned last year writing her first book, Subscription Marketing: Strategies for Nurturing Customers in a World of Churn. The Writer’s Process is organized into three parts; each contains several short, focused chapters. The introduction sets the stage, emphasizing the limitations of conventional approaches to writing productivity. Part 1: The Inner Gears, introduces the Scribe and the Muse, the roles the brain plays that either help or inhibit the key tasks writing involves: attention, flow, creativity, self-discipline, and procrastination. Part 2: The Process, Start to Finish, describes her writing recipe, the different stages a book goes through, from research to publication. She describes the steps to ensure continuity without feeling trapped in a never-ending struggle. I especially like the pause points she recommends, like “Let the Ideas Incubate” and “Let the Draft Rest” before revising it. Part 3: Writers in the World addresses real-world issues that writer’s face, including handling emotional hot-button topics like finding time, working through writer’s block, and taking negative feedback in stride. If Steven Pressfield’s name sounds familiar, it’s because Seth Godin referred to this prolific novelist and screenwriter’s book, The War of Art as: “The most important book you’ve probably never heard of.” That sentence was the sun that brought Steven’s book to international fame. The War of Art popularized the intense internal battle, The Resistance, like procrastination, that creators face when designing or writing. Seth popularized and built on The War of Art, introducing the concept of the “reptillian mind” that resists change, in particular the stress involved with important projects. Nobody Wants to Read Your Sh*t is Steven’s follow-up book. It’s a series of reflections on the ups and downs of his career, his battles against The Resistance, and his latest thoughts about The War of Art. It’s perfect for reading in short doses. It consists of short chapters, often one page. Don’t judge it by its shocker title. The second time I read it, I marveled at how skillfully Steven returns to the title in the final chapters, creating a message relevant for writers in general, and content marketers in particular. The books in this section address specialized topics that play a major role in content marketing success, but aren’t usually thought of as “content” books. These topics include psychology (i.e., developing customer empathy), branding, customer service, graphic design, and public speaking. There’s also a new addition: getting through to ideal prospects – those who have the ability to catapult your business or cause to the next level. Do you know people who have stories to tell, but aren’t confident about their ability to share it in person, on stage, or behind a podium? Or perhaps your favorite person loves watching the thousands of TED Talks and TEDx accessible online. 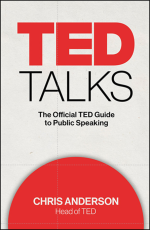 TED Talks provides a behind-the-scenes look at the training and preparation that goes into a TED Talk. Anyone who wants to improve their public-speaking skills will benefit from this book, regardless of the job description. The story shares the author’s involvement with the TED Talks, from the first one he viewed from the audience, to his present role as curator of the TED Talks. Chris’ story provides the framework for sharing the planning and training process TED speakers go through before their 17 minutes on stage. It shares the stories behind many of the most popular TED Talks, highlighting best practices as well as mistakes to avoid. It provides practical suggestions for choosing a topic, building a speech, choosing the right visuals, and rehearsing. My favorite chapter is Chapter 11, Scripting: To Memorize or Not to Memorize. It compares the pros and cons of the two main approaches to giving a TED Talk: memorization versus scripting, and how to choose the better option for you. Much as I enjoyed and continue to recommend Jay Baer’s YouTility: Why Smart Marketing is About Help, Not Hype, I’m even more passionate about Hug Your Haters. It’s the perfect book for the entrepreneur or manager who can profit from a refresher course in customer service. It’s also a great gift for content marketers and chief content officers who are looking for career growth beyond content creation, curation, and promotion. It’s not just that today’s consumers are likely to have explored your products and services online long before they contact you … It’s that today’s dissatisified customers are more likely to complain online, using social media, than they are to call or email the business. This is especially true if they don’t receive a prompt response to their first complaint. Jay describes the dangers of ignoring complaints and not taking action immediately. But he goes further. He emphasizes the importance of tracking complaints and – more importantly – not making the frequently encountered mistake of solving the dissatisfied customer’s problem without taking action to reduce the possibility of it recurring. 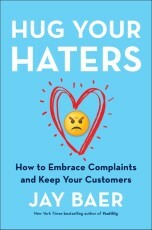 Hug Your Haters was one of the first books to make the connection between social media and customer service, a trend that will become even more crucial in the years to come. 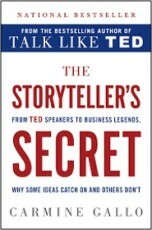 Carmine Gallo’s The Storyteller’s Secret is an excellent companion to Christopher Alexander’s TED Talks. The two books complement each other. Because of their content orientation, both books could have appeared in the category of writing and content creation. 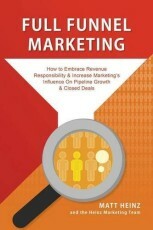 Both books contain ideas and tips applicable to a broad range of content marketing projects. Christopher organizes the chapters in TED Talks in a rough chronological order, tracing the steps and tasks involved in moving from the audience to the stage. The book’s point of view is from an insider reflecting the high and low points witnessed during the last 10 years. Carmine, on the other hand, builds each chapter around a single idea or principle, tracing how various speakers have employed that principle in their presentations. His perspective is that of an executive speaking coach. His book focuses on the presenter’s goals and the results of the presentation. Each chapter contains quotes and recollections from the speakers used to illustrate the chapter’s key idea. Each chapter ends with a one-paragraph Storyteller’s Secret summary. Following the conclusion, Carmine includes a two-part Storyteller’s toolkit summarizing the key idea of each chapter and the speakers referenced. There’s also a seven-page Storyteller’s checklist that you can use to determine the best ways to tell your own story. This might be the most important book on this list, if you’re buying for a freelancer, sales manager, or the individual in charge of business development for a content marketing agency or design firm. It offers a time-proven process for B2B businesses that want to sell more to corporations, sales managers, and self-employed professionals. Author Stu Heinecke is a Wall Street Journal cartoonist, but that’s just one of his skills. His drawing ability is matched by his copywriting and direct-marketing savvy. He’s developed a system to get through to CEOs and other C-level executives using a system he calls contact marketing. The discipline of using micro-focused campaigns to break through to specific people of strategic importance, often against impossible odds, to produce a critical sale, partnership, or connection. In How to Get Through to Anyone, Stu describes how a well-managed contact marketing program can achieve the holy grail of marketing – 100% response rates and return on investments in excess of 6,000%! For his efforts, he was nominated for the Direct Marketing Hall of Fame. As Joe Pulizzi frequently reminds us, there’s still a major role for print in a content marketing world. E-books and white papers immediately come to mind. Book Design Made Simple is a perfect gift for any graphic designer preparing print publications using Adobe InDesign (the leading layout software). It’s also an excellent choice for chief content officers to give staff designers who use InDesign for e-books and white papers. It’s a gift that both shows appreciation for their efforts – while inspiring them to greater productivity. 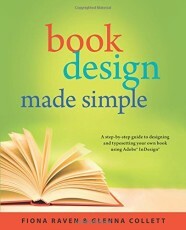 What sets Book Design Made Simple apart is its unique combination of publication design fundamentals and detailed InDesign tutorial. There are lots of general graphic design books, lots of publication design books, and lots of InDesign tutorials and guides. But, until now, there hasn’t been a single volume that perfectly addresses the needs of graphic professionals who want to take full advantage of InDesign’s ability to produce better-looking, easier-to-read books as efficiently as possible. It contains over 400 pages of design tips, InDesign commands, and features. 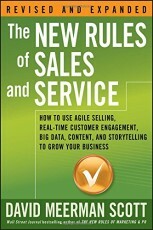 In many ways, I consider The New Rules of Sales and Service David Meerman Scott’s best book. All his books – including the now-classic New Rules of Marketing & PR – are filled with helpful, relevant ideas, and lessons. His New Rules of Marketing & PR, now in its fifth edition, helps define modern marketing. It’s an international bestseller, with over 350,000 copies sold in 25 languages. However, David’s voice and passion emerge with more power and resonance in The New Rules of Sales and Service. He writes from the heart, and pulls no punches, as he describes his experiences as a consumer who has experienced both the highs and lows of sales and service. His genuine enthusiasm as he describes the perfect fusion of online and in-person sales and service he experienced on his recent Antarctic expedition is balanced by the frustration he encountered with appliance dealers and other everyday situations. The New Rules of Sales and Service is a bridge-builder for entrepreneurs and sales professionals in your life who are looking for ways to profit from content marketing by becoming more internet-savvy and aware of the changes in buying habits. Chapter 6, Agile, Real-Time Social Sales, introduces the latest advances as well as trends just being noticed like live streaming and predictive analytics. If you’ve recently visited the Copyblogger or Rainmaker Platform sites, you’re already familiar with Rafael’s work: He designed the sites which reflect his minimal, distraction-free approach. 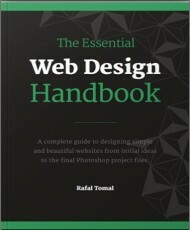 The Ultimate Web Site Design Book is not a book in the traditional sense, however. It’s a 208-page PDF best viewed onscreen, preferably on a designer’s large, color-corrected monitor. It’s only available directly from the author’s website. It does more than share the building blocks of color, layout, and typography. It describes a recommended workflow that begins with decisions, goals, simple sketches, wireframes, and page mockups. The Ultimate Web Site Design Book is an ideal gift for Photoshop-savvy chief content officers, graphic designers, and web programmers. It’s also appropriate for business owners who want an example book to show their agency and creative directors who want to inspire their designers. The books in this section address creativity, productivity, thought leadership, and visual thinking from a deeper perspective. They’re appropriate for leadership-oriented business owners and C-level corporate executives. They’re strategic, rather than tactical. Amazon.com lists over 2,900 thought-leadership books, but Non-Obvious 2017 is uniquely qualified to help business owners, content marketers, and corporate executives who want to become thought leaders in their field. Non-obvious is a study in transparency. Rohit Bhargava starts by explaining why most predictions fail to materialize. He then explains, in detail, how he locates and curates emerging trends, then publishes his predictions for the upcoming year. He’s been publishing his annual reports since 2011 to a growing international audience. Part I: The Art of Curating Trends – The three chapters begin by explaining why most expert predictions fail to materialize and are followed by a description of a curation process based on the four essential personalities of trend curators, and Rohit’s “haystack” method of ongoing curation. I especially appreciate his advice for developing a memorable and resonant name for each prediction. Part II: The 2017 Non-Obvious Trend Report – Each year’s predictions contain 15 trends, narrowed to three in each category: culture and consumer behavior; marketing and social media; media and education; technology and design; and economics and entrepreneurship. Part III: The Trend Action Guide – Topics include using workshops to apply trend insights to your career, cause, or business, and the seven best trend resources to bookmark. Part IV: Previous Trend Report Summaries (2011 to 2016). This section is an example of Rohit’s transparency. It includes the key predictions of the past five years, accompanied by a concise but revealing longevity rating that grades the accuracy each of his predictions. It’s easy to share your successes, but it takes courage to admit when you’ve been wrong. 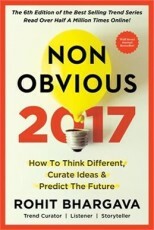 Like Andy Crestodina’s Content Chemistry, Non-Obvious is an excellent example of series marketing, based on updating books on a yearly basis. Each year’s edition is an improvement on the previous one. Not only will the recipient of your Non-Obvious 2017 profit from Rohit’s methodology and predictions, but the book presents an excellent publishing model for business owners and content marketers to follow. Until now, I’ve thought of Nancy Duarte, and her design firm, Duarte Design, in terms of presentations and her TED Talk, The Secret Structure of Great Talks, which has been viewed over 950,000 times. I also associate her with her beautiful books like Slide*Ology: The Art and Science of Creating Great Presentations, Resonate:Present Visual Stories that Transform Audiences, and her concise HBR Guide to Persuasive Presentations. (Harvard Business Review Guides). 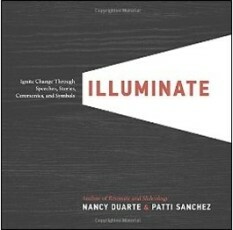 So I was initially skeptical when I saw the subtitle of her latest book, Illuminate: Ignite Change Through Speeches, Stories, Ceremonies, and Symbols, co-authored with Patti Sanchez, a long-time associate. 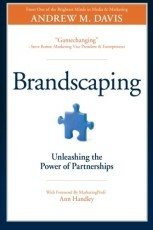 I feared a business book rather than an inspiring-image book. But that was before I started to read Illuminate at bedtime one night … and found myself still reading at dawn! Illuminate is story of the challenges that Nancy faced – and continues to face – as she, once again, reinvents Duarte Design, the largest communications company in Silicon Valley. She uses her story to describe the disruption, pain, and uncertainty associated with corporate change. Illuminate introduced me to a new verbal and visual vocabulary, such as the innovation life cycle, how transformation impacts travelers, and the six-step venture scope display of the transformation process. I was fascinated by her three-act rites of passage structure, the need to create “transformative moments along the way” for employees, and how she created those moments at Duarte Design. Her story, the torchbearer’s tool kit she used, and other how-to advice is augmented with interviews and profiles of CEOs who have successfully reinvented their firms, like Lou Gerstner did at IBM, or how employees sparked reinvention at DeMoulas’s family-owned chain of supermarkets. Illuminate is a highly relevant book for career-oriented chief content officers and CEOs who must replace today’s silos (like marketing, sales, and customer service) with a unified customer-centric approach. As such, Illuminate is a logical gift for content marketers to accompany titles like Jay Baer’s Hug Your Haters and David Meerman Scott’s New Rules of Sales & Service. 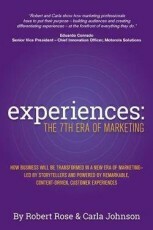 It’s also a great complement to Robert Rose and Carla Johnson’s Experiences: The 7th Era of Marketing (below). If conversations with your co-workers, friends, and loved ones reveal their frustration with the time they spend responding from their filled email inboxes, they’ll love you for the gift of Unsubscribe. Jocelyn Glei is a creativity and productivity mentor who writes like a poet. She’s been a driving force with 99U, which empowers the international creativity community through blog, conferences, and publications. I discovered Jocelyn through her association with Scott Belsky, author of Making Ideas Happen: Overcoming the Obstacles between Vision and Reality, which I featured in my first roundup of productivity books for content marketing success. I featured her first book, Manage Your Day-to-Day: Build Your Routine, Find Your Focus, & Sharpen Your Creative Mind, in my first holiday books roundup, 12 Content Marketing Books to Add to Your Holiday Gift List. 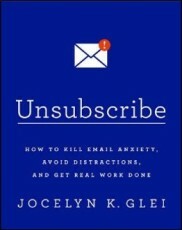 Given the universal presence, and shared love-hate relationship most authors, business owners, and content marketers have with email, Unsubscribe is one of the few books published in 2016 that you can give with confidence, knowing that it’s a thrill to read. Unsubscribe is filled with practical suggestions for controlling your email – instead of letting your email control you. Do you know someone who is their own worst enemy, trapped by their limiting beliefs? You probably do; most people are, and so are most organizations. 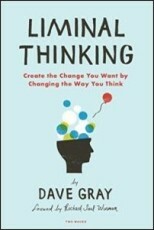 Liminal Thinking is a provocative book about the brain by Dave Gray. He is a leading visual thinker and changemaker who uses simple drawings as a tool for achieving clarity and a catalyst for change. I discovered Dave through his first co-authored book, Gamestorming: a Playbook for Innovators, Rulebreakers, and Changemakers. Liminal Thinking is a way to create change by understanding, shaping, and reframing beliefs. In many ways, it’s a partner to the four productivity books published in 2016 that I described in How to Train Your Brain for Content Marketing Greatness. 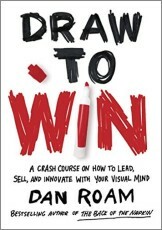 Liminal Thinking succeeds where other books stumble because its simple drawings are understandable at a glance and build on each other to simplify complex ideas. Liminal Thinking describes the origins of beliefs, the power that beliefs have over our behavior, and how beliefs limit our ability to achieve our full potential. How others react to our behavior creates new beliefs (which Dave calls the Doom Loop). Is this a psychology book? To call Liminal Thinking a psychology book is a disservice; the word “psychology” doesn’t appear in it, and there’s absolutely no jargon or clinical language. Liminal Thinking works because the drawings build on each other the way the ideas build on each other. The books in this section address creativity, productivity, thought leadership, and visual-thinking issues from a deeper perspective. They’re strategic, rather than tactical. These books are written from a higher perspective by specialists for business owners, corporate executives, content markers, and thought leaders looking to inspire and implement major change. 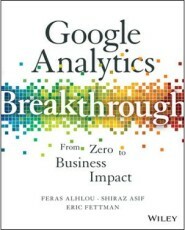 At the end of a recent content marketing event, Andy Crestodina, author of Content Chemistry, (see above), recommended Google Analytics Breakthrough as the book that influenced him the most. That’s high praise coming from one of the most research-oriented content marketers who, during 2016, has convincingly repositioned SEO from an “after you write” task to a “before you write” research project. Among the things that set this apart from other SEO books is its depth (over 500 pages), it’s broad perspective based on input from numerous SEO researchers, and its continuing focus on Google Analytics as a tool of return on investment by taking full advantage of its power. It’s better than a textbook, however, because of its notes, key takeaways, and specific actions and exercises. Design a Better Business approaches change from yet another visual thinking perspective: a portfolio of 24 downloadable visual-thinking templates that can improve your problem-solving ability and help you make better decisions. If your friends or loved ones are successful content marketing consultants, agency owners, entrepreneurs, or C-level executives interested in facilitating group problem-solving, they’re certain to like this book. This is also an ideal choice for designers who are looking for an example of contemporary design thinking and information architecture. 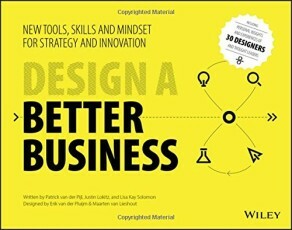 Design a Better Business is based on 20 Canvases, or planning templates, and a seven-step Double-Loop process. Each Canvas is devoted to a single task, such as the Team Charter Canvas, the Five Bold Steps Vision Canvas, the Cover Story Vision Canvas, and the Business Model Canvas, etc. The Canvases provide a working area for planning, sharing ideas, evaluating, and simplifying. Sticky notes, which can be easily rearranged, are used to indicate key goals, obstacles, or resources. Together the tools and process create a replicable process for projects ranging from writing a book to creating a content marketing plan or reinventing an existing business or career. Designing anything, including a book, is not a linear process. Not only in terms of iterations, pivots, and finding the right direction, but also in terms of planning and progress … The progress is exponential; the first chapter took a whole month. The second chapter went together twice as fast, and in the home stretch, we rebuilt the entire book in a week. In the beginning, we used a lot of time to decide and explore. In the end, the blueprint was totally clear. Knowing that, we could plan the design process to finish exactly on time. This is the ideal book for chief content officers, C-level executives, and forward-thinking entrepreneurs who are looking for out-of-the-box solutions to their creative problems. Think Simple is a follow-up to the author’s first book, Insanely Simple: The Obsession that Drives Apple’s Success, which was based on observations gained from his 12 years as the creative director for Steve Job’s advertising, first with NeXT and then with Apple. Think Simple looks beyond Apple and Steve Jobs. It describes Ken’s search for other companies focused on replacing complexity with simplicity. Ken chronicles the experiences of others who have successfully simplified. He identifies and interviews over 40 “heroes of simplicity” that put simplicity to work in a wide range of industries, large and small firms, established and up-and-coming. He finds remarkable similarities in the interviews. Think Simple would be an appropriate gift for not only corporate managers and chief content officers who aspire to greater responsibility, but also for entrepreneurs and owners of small businesses who are looking for ways to grow their businesses using simplicity tips. One of the problems involved in focusing this year’s roundup on books published during 2016 is that, by necessity, it excludes important books that were published earlier but haven’t appeared in any of my roundups. I’m referring to books like these, which also deserve your attention as appropriate gifts for content marketers. Are any of your co-workers, friends, or family members looking for a fresh approach to productivity, one that doesn’t add work to an already overworked and overwhelmed life? 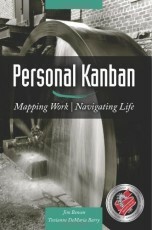 Personal Kanban is one of the few productivity books that is visual, doesn’t require software, and places equal emphasis on a holistic view of work and life. The process can be implemented using index cards, sticky notes, or white boards. It’s a three-step process that reduces your workload and simplifies planning your days. The premise is simple: The solution to the budget crunch many content marketers complain about doesn’t involve increasing the budget, but increasing your content’s return on investment by identifying your best-performing content and focusing more attention on it. 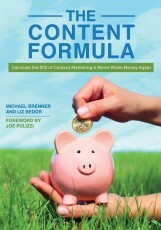 The Content Formula is, basically, a combination of a book and workbook. It contains simple formulas that can be easily adapted to identify your top performers deserving more attention and decreasing the amount spent on low-performing topics. Somehow, I overlooked this content marketing classic that has attained evergreen status on a content marketer’s must-read list. I read it for the first time this summer and found it a rewarding experience. The idea is so simple, but the results can be so long-lasting. This would be an appropriate gift for a co-worker, employee, friend, or family member who frequently expresses negativity, i.e., “If only I…,” “I wish I hadn’t,” or “I can’t…” As I described in my review of four recently published productivity books, How to Train Your Brain for Content Marketing Greatness, Carol’s book was the first to popularize the Mindset concept, taking it out of the research labs and describing it in a format so concise and readable that over a million copies have been sold around the world. This satisfying book reviews the essentials of content marketing from a B2B, account-based perspective, but also shares numerous time-saving hacks and tips. In many ways, it’s the ideal combination of philosophy and practical tips from one of America’s leading content marketing resources. 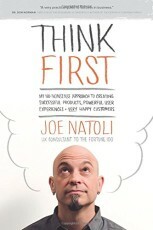 Joe Natoli’s Think First is an ideal introduction to the field of UX or user experience. It’s the ideal gift for the entrepreneur or content marketer looking for an easy-to-master framework for better decision-making and increased effectiveness. 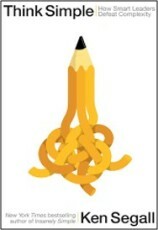 Consider it the gateway drug to visual thinking. Joe shows how to break out of your transaction mentality and view your online presence, your products, and your services from the user’s perspective. This is another must-read for content marketers. Although I read it when it first appeared last year, I’ve recently been rereading it with great interest. Note: A recorded version is now available from Amazon. Although published late last year, this remains a motivating read. It predicted that, increasingly, chief content officers should look to the future and increasing their influence by breaking down the barriers between marketing and customer service. Thank you for reading this far. Please let me know if you have suggestions for other content marketing-related gift books published during 2016 that I should have included. I welcome your comments below. In addition, if you have already purchased (or gifted) one of the above books, I’d like to know if the book lived up to your – or the recipient’s – expectations. What were your takeaways from the book? When I compiled my list, I viewed the books as individual titles, representing the best thinking in different categories, i.e., content marketing, corporate change, design, psychology, speaking, and writing. Now, however, I feel that there is a common theme or thread (Nancy Duarte and Patti Sanchez call it a “throughline”) running through many of the books. Do you agree? Is there a connection? What is it? Share your ideas in the comments. Give a book and add another gift too – admission to Content Marketing University in 2017. Sign up before December 31.